There aren’t many art forms that are as unique and require as much skill as shoe making, but skilled cobblers are making it easy for anyone interested in DIY shoe making to learn the trade. Shoemaking classes and order-by-mail kits have become more and more available and shoe making supplies are in high demand. Whether you’ve taken a class or just finished your first kit, once you get hooked on the art of shoe making, you’ll soon be in the market for your own set of shoe making supplies. If you’re not sure where to start, here are the top seven shoe making supplies you need to know. Accuracy is extremely important in shoe making, especially when it comes to designing patterns and cutting materials. 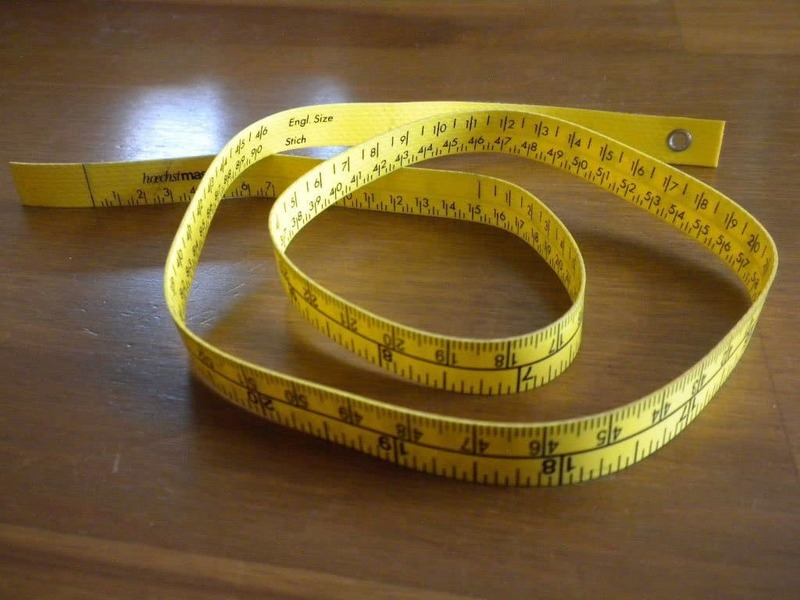 Measuring tapes are an essential tool to make sure that every pattern and piece of fabric is cut precisely to the right dimensions. High-quality cobbler’s measuring tape has one side that measures length up to 24 inches or 60 centimeters and has markings for both metric and imperial units. The flip side has measurements for English shoe sizes, including half sizes. To keep markings consistent, the tape is usually covered in a waterproof resin material to prevent any stretching or pulling and to protect it from moisture. Lasts are the molds that shoes are built around. The shape of the last determines the shape of the shoe. 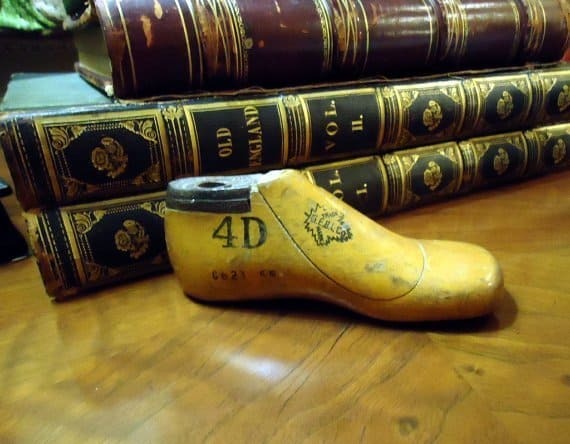 Throughout the history of shoemaking, cobblers have made their own lasts out of wood, cloth, or leather. Today, you can easily buy lasts of all different shapes, sizes, and materials in a wide range of prices. Lasts come in all shapes and sizes: sneakers, boots, high heels, kids, ballet flat, etc. They aren’t adjustable so you’ll need to order the last in the size of the shoe that you need. The type of scissors you need depends on the material you’re planning to use. If you’re going to make leather shoes, get leather scissors. If you’re going to make cloth shoes, get cloth scissors. It’s important that you only use the scissors on the material they were meant for. If not, you risk dulling and damaging the blade or material. For example, cloth scissors aren’t designed to cut leather. 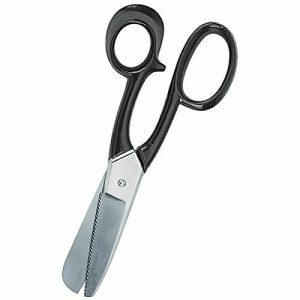 If you use them with leather anyway, your lines won’t be as clean or exact and you’ll dull the blades of your cloth scissors very quickly. 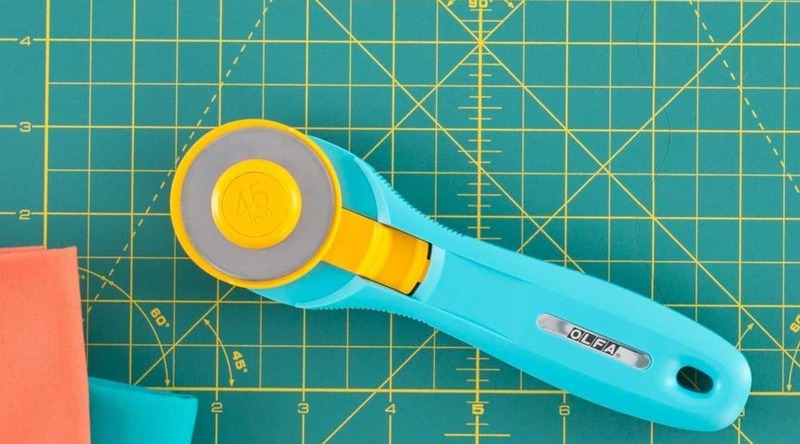 A rotary cutter is another way to cut fabric. It’s a simple, circular blade with a long handle that rolls over the material. Rotary cutters are much faster than scissors but don’t give you nearly as much control. It’s a good idea to use these in conjunction with scissors. Rotary cutters can be used to make long, fast, sweeping cuts. Then, follow with the right pair of scissors to get more detailed lines or the detailed parts of your pattern. An awl is essential for DIY shoe making, especially if you’re working with leather. An awl is a thin metal shaft with a sharp point on the end. Sometimes the ends are curved, often they’re not. The have a large, gripping handle and are used to poke holes in heavy, thick materials like leather. If you are making a pair of leather shoes, you use an awl to poke holes in the material and then use those holes to place your stitches. This keeps you from having to force the needle and thread through the tough leather, which is not only difficult to do but could also damage the material. Awls are usually used with leather but some canvases and even fabrics can be tough enough to require one. Using an awl in this way is a slow process. Usually, you will use the awl to poke about six holes at a time and then place the stitches before poking six more holes. You don’t want to just go around the leather and pre-punch a lot of holes because you won’t reliably be able to determine where you need the holes to be until you begin working the shoe. It’s much better to work slow and methodically in shoe making. If you’re looking for an alternative to an awl, the Speedy Stitcher is quite a timesaver. With a Speedy Stitcher, you don’t need to poke holes and then stitch separately. This single tool does both. While this might seem like newer technology, the Speedy Stitcher was invented in 1909, and has been an indispensable tool for cobblers for well over a century. When you’re nailing the leather upper shoe in place, lasting pliers are a multi-tool that grips the material to help you stretch it into place and then can be used as a hammer to pound in the nail. 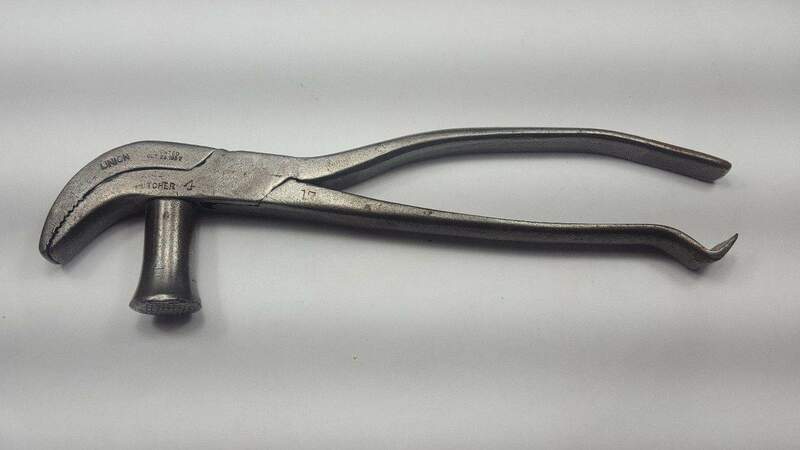 Their basic shape resembles standard pliers but the head is slightly curved and a little shorter. The teeth are sharp and are able to get a good grip on the leather so you can stretch it and work out any lumps or bumps between nails. Lasting pliers also have a small foot with a grippy surface. Once you get the fabric where you want it, place the nail, and use this small, flat surface as a hammer. A lot of the shoe making supplies you’ll need depend on the style of shoe you’re making and the material you’re working with, but these seven items are going to be indispensable as you jump into the reemerging art of shoemaking.